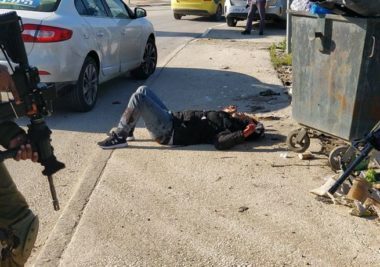 The Ministry strongly denounced the killing of Mohammad Abdul-Fattah, 23, and the injury of Khaled Rawajba, 26, on the hands of an armed illegal fanatic Israeli colonist. It stated that the crime, which took place near Beita town junction, south of the northern West Bank city of Nablus, and the army’s justification for this cold-blooded murder, are one of the examples of Israel’s ongoing illegal polices, and crimes against the civilian population in occupied Palestine. In addition, the ministry also denounced Tuesday’s attack in which a group of armed illegal Israeli colonists invaded Palestinian lands in Deir Jarir village, east of Ramallah in central West Bank, before they cut and uprooted more than 550 grapevines and almond trees, while Israeli soldiers stood and watched without attempting to stop them. It also held the Israeli government, headed by Benjamin Netanyahu, fully responsible for the escalating crimes and violations carried out by the colonists, living illegally on Palestinian lands, in direct violation of International Law and the Fourth Geneva Convention. The Ministry also denounced the international silence, and complicity, in these crimes and violations, and said that the world needs to realize the seriousness of the Israeli crimes against the Palestinian people, and how this silence is just encouraging Israel to continue to commit and escalate these violations, not only against the civilian population in occupied Palestine, but also against their homes, lands, holy sites and even their graveyards. It stated that the illegal colonists have become very powerful, well-armed militias, funded and supported by the Israeli government, and other countries, especially the United States.